Sue Klebold plays in the snow with a young Dylan. "He's like an invisible child that I carry in my arms everywhere I go, always," she says. 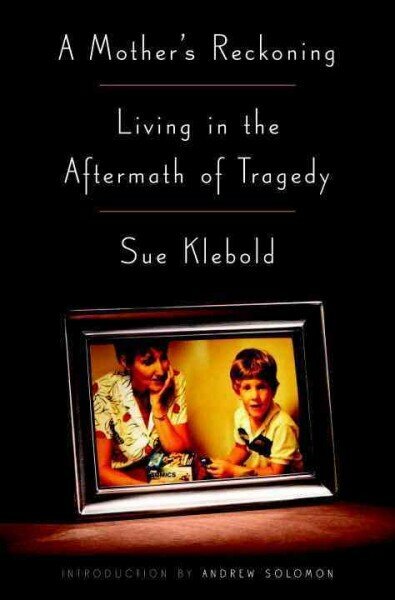 On April 20, 1999, when Sue Klebold heard about a shooting incident at Columbine High School, her thoughts immediately turned to her 17-year-old son Dylan, who was a senior there. "In the very beginning, I didn&apos;t know what to think," Sue tells Fresh Air&apos;s Terry Gross. "I was aware that there was a shooting incident occurring at the school. I didn&apos;t know if Dylan was in danger, if someone was trying to shoot him, if he was doing something." Gradually the truth emerged: Sue&apos;s son Dylan and his friend, 18-year-old Eric Harris, had gone on a shooting rampage at the school, murdering 13 people and injuring 24 others before killing themselves. For a long time, Sue was in denial about her son&apos;s role in the massacre. She told herself that Dylan had been brainwashed or coerced into the plan — or that he hadn&apos;t really shot anyone. But then she saw the "Basement Tapes," a set of videos Dylan and Harris had made in which they brandished guns and bragged about the destruction they were planning, and her understanding of Dylan&apos;s role in the rampage changed. "Seeing those tapes was one of the most shocking, dramatically traumatic things that happened in the aftermath of this, because I had been living with such a different construct to try to cope with what I believed to be true," she says. In her new memoir, A Mother&apos;s Reckoning, Sue describes the guilt, despair, shame and confusion that have plagued her in the 17 years since the Columbine massacre. She hopes that her book will honor the memories of the people her son killed, and perhaps help other parents whose children may be struggling with mental health issues. (All the author revenues from the book, minus expenses, will be donated to research and charitable foundations focusing on mental health issues). 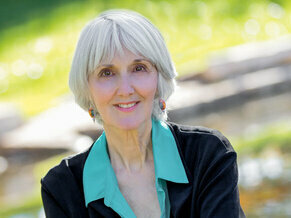 As for Dylan, Sue says she wishes she had listened to him more carefully in the years preceding the shooting. She wonders what questions she could have asked that might have encouraged her son to open up about whatever he was feeling. She adds that despite everything, she has never stopped loving him. "I will love him until I breathe my last breath," she says. "He&apos;s like an invisible child that I carry in my arms everywhere I go, always." When I saw that one of those scenes was actually shot in our home one night, and it was a night when Eric had spent the night, it was jaw-dropping. All I can tell you is I gasped out loud and I said, "That&apos;s his room!" It was just a complete shock that something could happen like that in my own home — that I didn&apos;t know the two of them had weapons and that Eric had brought weapons to our house. We went back and thought about that evening and we remembered when Eric spent the night and he had brought a big duffle bag in and we had just assumed it was, I don&apos;t know, perhaps a video camera or a computer, we weren&apos;t in the habit of asking guests what they were bringing over, and we had to sort of put these pieces together of what the boys had been doing that night, and it was a complete shock. What I saw in those Basement Tapes, what appeared to me to be occurring, was that he was posturing, that he was putting on some kind of a performance to prove not only to Eric but possibly to himself that he was this tough, hateful human being, who was kind of revving himself up to do this. So that was the sense I got from those tapes, and I think one of the things that was most frightening to me when I saw those tapes, was the thought that if and when these become available to the public, how the public couldn&apos;t possibly believe that the other child that I knew existed and was so different from the one on the tape. I knew that trying to illustrate that would be impossible, if they had seen this image of this hate-filled person. I advocated for their destruction because there is a great deal of research to show that making these available to the public is dangerous. That vulnerable kids will look at these and copy these and use what happened at Columbine as a benchmark for other events such as this. So there is certainly a lot of documentation to support that making them public is a very poor and very risky idea. I had an additional reason as well as that ... I knew that if people believed that someone who was going to do something as heinous as Dylan did, acted openly as Dylan did in that tape, they would develop a false sense of security to be able to say, "My loved one doesn&apos;t act like that, therefore I am safe. My loved one is not at risk." And I think for me, that was one of the most dangerous things about these tapes is to realize, this was not his [affectation] on a daily level, this was the two of them acting, doing theater, doing a performance, in front of a videotape, and it would be very deceptive to release that kind of information and have people expect to see behavior like that when someone was very disturbed, because that is not the truth. His writings tell a different story. His writings show that he was someone who was very focused on love, he was very focused on a sense of conscience, he had a secret crush on an unidentified female at his school, and his writings do not reveal the level of irrational anger that the tapes revealed. And also, the fact that I had known him of course all of his life and known him to be a gentle and a loving person, so from everything I have been able to learn about this, from every piece of evidence I can find, it was the behavior on the tapes that was the aberration and it was something that he was doing, in many ways I believe, to prepare himself to do what he was about to do. When I refer to Dylan&apos;s suicidal thoughts and his behavior I want to make it very clear that I am not trying to discount the fact that he also committed murder. I perfectly am aware always, every minute, of the lives that he took, and the lives that he ruined, but murder-suicide, which is what this event was, is one manifestation of suicide. It is what can happen with a suicide. It is generally now believed more and more to be motivated by the same things that motivate a suicide, rather than a homicide. So I have done a lot of research on suicide and tried to understand Dylan&apos;s thinking. Yes, in his writings, a full two years before he died, he is talking about being in agony, being in pain, about his thoughts, wanting to end them. He writes about wishing he had a gun. He even wrote about cutting himself at one point. So yes, I believe that he was experiencing persistent suicidal thoughts and depression at least two years before this event grew and grew and escalated into this terrible tragedy. I, like many survivors of loss, when someone takes their own life, do think those thoughts. I felt for a very long time that it must&apos;ve been something I did and I went back to ridiculous detail into our past and I remember at one point sobbing because when Dylan turned three I had only put sprinkles on his birthday cake but when his brother turned three I had decorated the cake with icing, thinking, "It must&apos;ve been something like that, where he didn&apos;t feel equally loved." I know that sounds ridiculous, that is the kind of work that you do in your head when something like this happens. So I examined and I questioned and I blamed, and to this day I do it still, occasionally I fall back and think, "If I had done this, if I had not done this." But over time, with all the research I was doing into behaviors and losses due to suicide, I really began to see that these things were things within Dylan&apos;s brain and his thinking, and that I might&apos;ve in some way, inadvertently contributed to his perception of something at a given moment, but I did not believe and still don&apos;t believe that I caused this or caused him to have this perception of himself and his world view. I wish that I had had the ability to delve deeper and ask the kinds of questions that would&apos;ve encouraged him to open up more to me. I had parented my kids, in many ways, the way I had been parented, which means you listen to your kids&apos; problems and you try to fix them. ... I think what I needed to do with Dylan more was to just shut up and listen, to try to get him to say to me what he was feeling and thinking about something, rather than to automatically jumping to a way to make him not feel that way or to fix the way he felt. I can&apos;t presume to even know what [the families] were experiencing and what the level of their grief was. I completely understood their need to express what they were feeling, and that their feelings were such that they could not tolerate having those &apos;memorializations&apos; there. I feel certain that I would&apos;ve felt the same way. What I use as my guide is that I want to educate people. I want people to know that even family members of people who do horrible, heinous things, are still human beings, and that perhaps by meeting me and seeing that I am not a crazed person, that maybe it will broaden their understanding and they will have a little bit more compassion for someone else.